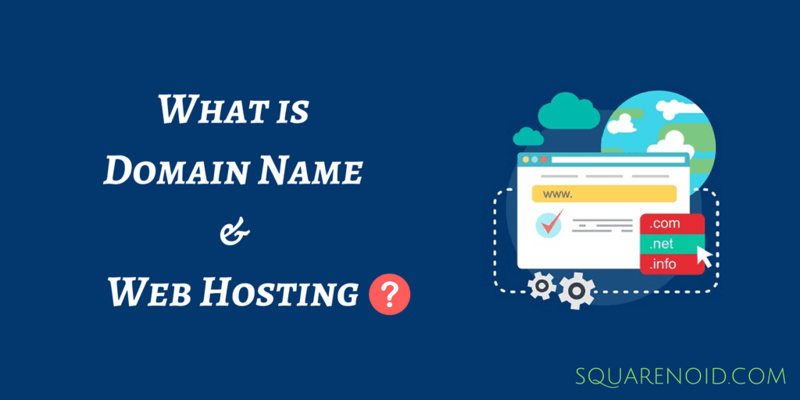 What is Domain and How does it really works? 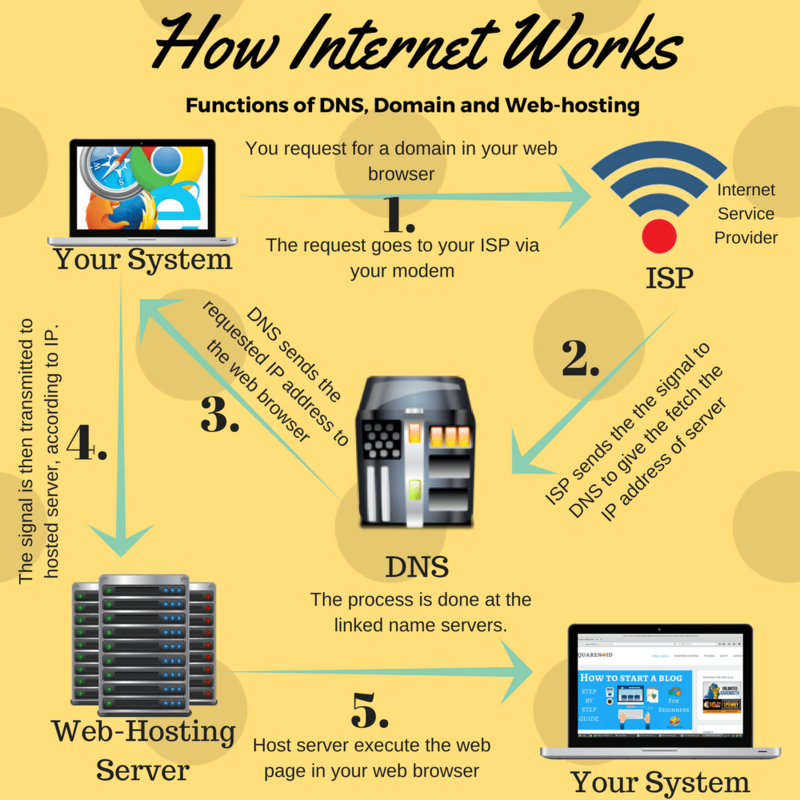 How DNS creates a link between the Web Host and Domain? You want to make a website, but do you know what are the basic fundamental things which constitute a website? If you don’t know coding then CMS (Content Management System) will help you out. Nowadays WordPress is the most popular and flexible CMS in the internet world. Almost 28% of the entire web is powered by WordPress, which means most of the blogs or online stores you see are actually powered by WordPress (including this blog). Even there are many bloggers out there having a WordPress website who are making money from their blog (about 100k/month). To make a website you need to know about the things which address your website, and sometimes enhances the performance of your site or blog. 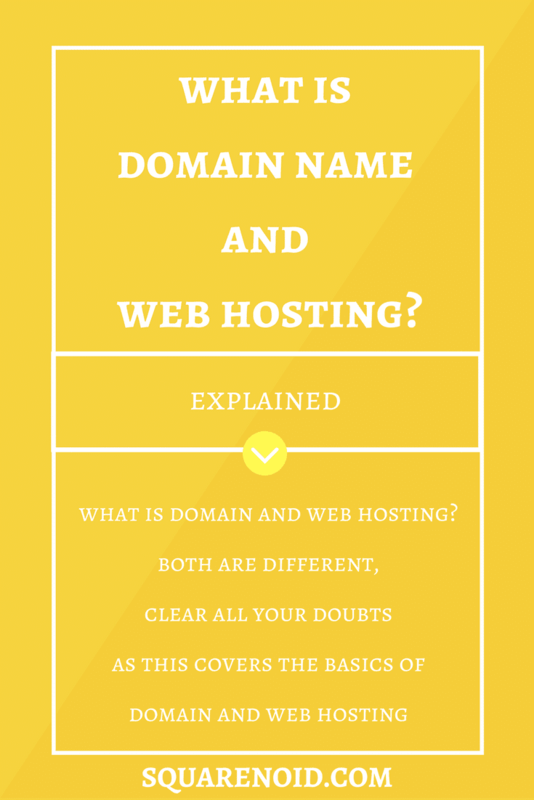 In this article, we will try to cover all the basic things about Domain & Web Hosting. Start your self-hosted WordPress blog (like this blog) today with Bluehost (you’ll get a free domain name). WordPress.com (free WordPress blogs) and WordPress.org (self-hosted) is different. Alternatively, you can also start a free blog (if you want to blog for fun) on free blogging platforms like WordPress.com or Blogger.com. Let’s take a general, daily life example. If we want to build a house, then what would be our basic requirement? At first, we have to purchase a land and that land or let’s call it area have a special address. This address is used to indicate that particular area only. In the world of internet domain also serve the same kind of stuff. Whenever you visit a website it has a unique address (see the URL). 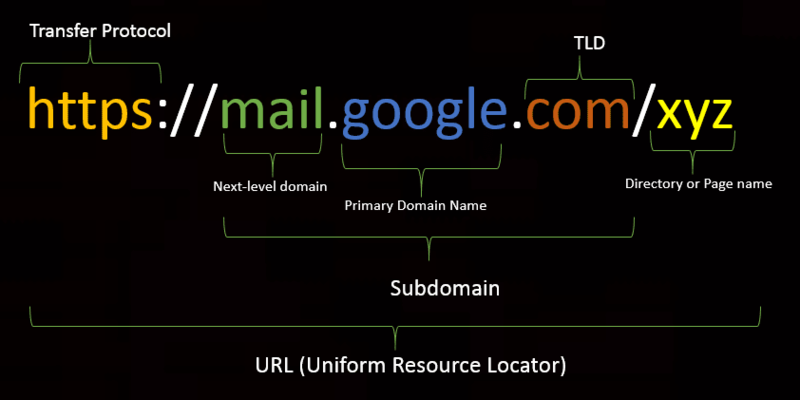 That unique address is known as the Domain address of that site (or simply Domain). You can purchase your purchase from the popular and trustworthy Domain Registration websites. You can purchase your domain from Bluehost, Hostgator, GoDaddy or Namecheap. 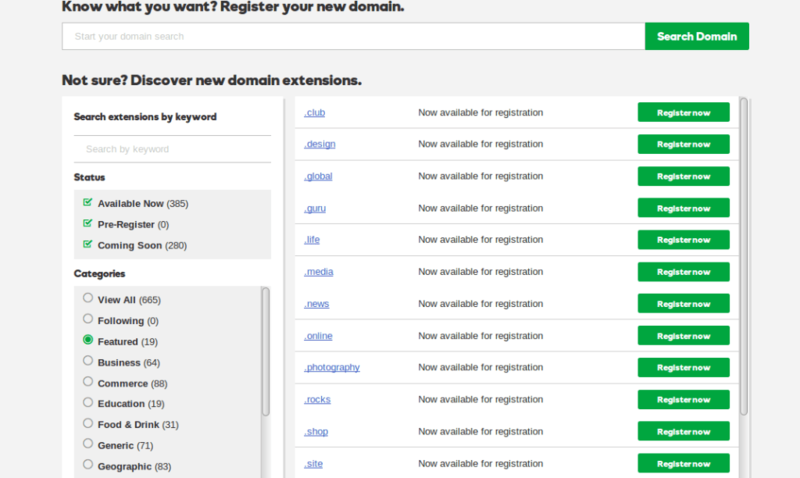 These are one of the promising Domain registrars over the web. You must be thinking it’s a small topic to discuss, however it’s not like that. The domain may be a small term, but there are some methods or protocols through which it works properly. Let’s know about the parts and how it works. Often Domain names are confused with URLs. See the image given below and decide it. This whole thing is the URL (Uniform Resource Locator ). So, now I think the confusing between the URL and Domain is clear. In short, the Domain name is a part of URL. Some examples of Top Level Domain( TLD) are .com, .net, .biz etc. We often call it as the “extension“. We can choose our TLDs as we choose Domain name. The TLDs can be of country code like, for India, it is .in. If the website has a specific country code Domain extension (TLDcc) then the website is bound to follow the country cyber law and regulations. Some TLDs are used to define the characteristics of the website such as .biz is a business website; .edu is for the educational website; .org is a public organization; .gov is for government organization etc. There are tons of more TLDs at present, like .website, .me, .club etc. Domains are under the jurisdiction of ICANN (Internet Corporation for Assigned Names and Numbers), which is responsible for creating new and maintaining current TLDs. You can choose any of them in the Domain registration website. But the price may differ as per the extension. Creating a sub-domain may be essential for the big website companies. Like, take an example of Google.com. The primary domain name of that website is google.com. But when you open your google mail account, it shows mail.google.com/... This is called sub-domain. They have created a sub domain which we point or take the users to their email page. Note: Don’t get confused between .xyz.domain.com and domain.com/xyz. Again go back to the real life example. You had purchased the land to build your house. You got the specific address for the location( domain ). After 2 months you built the house. You haven’t paint it or installed the furniture yet. Now connect the real life scenario with the internet world. This whole house will work as the hosting. The furniture and the things which help you to decorate your house are the data files or you can say the posts plugins etc. You didn’t make the house alone, there were workers, architect, who helped you to build your house. So in the Internet world the coding languages and in case you don’t know the coding CMS (Content Management System) act like them. After you setup all the requirements in the house, then people will you. In many cases, they visit your house for any purpose or on an occasion or sometimes you invite them. Like this, you invite the visitors to your blog. Now let’s concentrate on Web Hosting. In general Web hosting is a place where people store their website. They create their databases, stores the files (HTML, documents, images etc) in the hosting. There are lots of web hosting companies in the market. They rent their computer to store your data and connect them to the internet. These computers are known as servers. When all the servers of a particular web hosting company are located in a large room or building, then the room is termed as Data Centre of that company. The server used by the web-hosting companies are more powerful than the ordinary desktops. When you will purchase your hosting plan, they will provide you a control panel or cPanel (sometimes WHM). You can access the databases through cPanel. You can see the files using File Manager. There are lots of function you can perform with the help of cPanel. Mainly there are two kinds of hosting server. The kinds of servers are classified on the basis of the Operating system used on the server. When the servers are operating on Linux Operating System, then it is known as Linux Hosting Server. On an average Linux hosting server plans are the cheapest. It is because Linux Operating System is open source which comes free. In this kind of servers, you can install most of the CMS like WordPress, Joomla, Magento, Open Blog etc. It is also known for its flexibility. Most users and web hosting services providers prefer Linux Hosting Server primarily. In Linux Hosting servers PHP, Perl and MySql are used. If the servers are operating on Windows Operating System, then it is known as Windows Hosting Server. The windows hosting plans are not cheaper as the Linux one. It is because Windows Operating system comes with a license fee (it is not freely available). In windows server ASP, NET and Microsoft SQL are used. You can install the CMS such as WordPress, Joomla, Drupal and much more. The difference in the both the servers is in the software and compatibility of the language. If you want to work with the language which supports the Linux then go for Linux web hosting otherwise take the Windows. Both the service providers must take care of the security problems. Both have the security vulnerability. There are more Hosting Server like Java Hosting server, ASP.NET, Macintosh. But mostly Linux and Windows are popular and taken. At present Linux is the most preferred Hosting Server. Here is an example where hosting service is offering the WordPress to install in the Linux or Windows server. 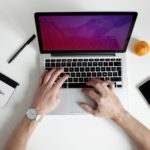 Note: If you have Linux on your computer, don’t think that you cannot open the website which is hosted on Windows server. When you will visit any web-hosting site, you will see the list of some services they offer. They provide different types of web hosting. The following will tell you more about the plans and types. 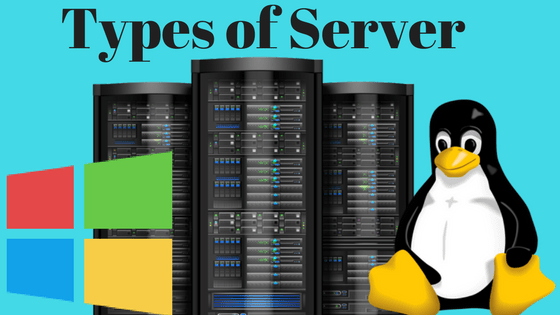 At first, let’s talk about the main four type of hosting. It is the most basic and cheapest form of web hosting. The reason behind the name is due to the fact that many different websites also shared with your server. 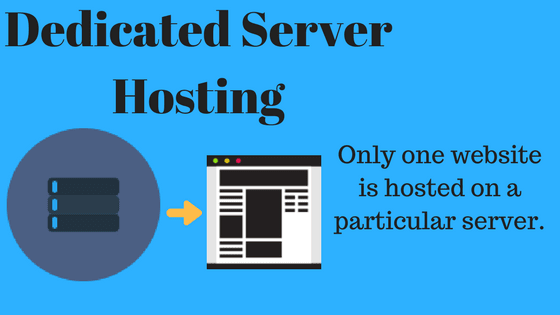 It means that many websites are hosted on a particular server. Due to sharing, one has to spend a few bucks to purchase it. If the hosting website is offering a very cheap shared plan then it might happen that on that particular server there are enough or too many websites is present (may be more than 300 sites). For the beginners, shared hosting is the best option. It is easy to setup and if you want to get online with a small budget you can choose this one. You can install any CMS easily there. Disadvantage – It is not the secured one; It cannot handle high traffic, You cannot have the root access. Virtual Private Server Hosting is much more efficient than Shared Server Hosting. In V.P.S you don’t have to share the web server. With the help of software, the servers are divided into few virtual servers. Here the resources are not been shared anymore with other users. You may have the root access to your virtual memory. Your data is more secured. Disadvantages – Your site may be get affected in performance since other sites are hosted on that server. A few sites are there but still, the problem may occur in handling the traffic. It is also a type of VPS Hosting, however, it is more efficient and powerful than VPS Hosting. In cloud hosting your data is much more secure. It can handle the traffic and keeps your site up and steady performance wise. It differs from VPS Hosting, as there are many virtual private servers which are interconnected. The files are copied on multiple servers i.e you are having the back-up. Disadvantage – The cost is too much for most of the people. You are a newbie, then don’t opt it. It requires some technical knowledge. It is the most powerful hosting service among all. It offers maximum control over the web server. In this type of Web hosting, you own the very server. In other words for a particular website, you are having the entire server, in which no other users are sharing. You have the choice of installing the OS or container for the server. You have the root access. Your website’s security level will high. Since only your website is taking the control of the server, the performance will also be much higher. Disadvantage – It comes with a great cost. It is very very expensive. 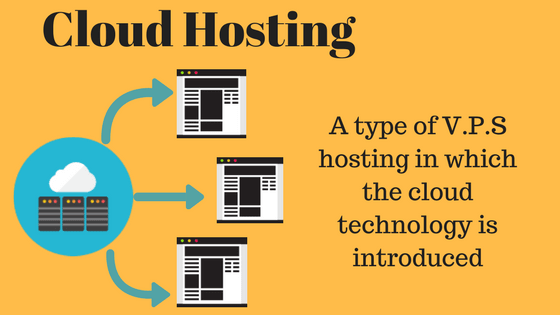 Apart from the hosting forms mentioned above, other types of hosting are also present. The types of hosting services listed below are common and you can find them on the internet often by any hosting provider. CMS hosting is a special type of shared hosting. 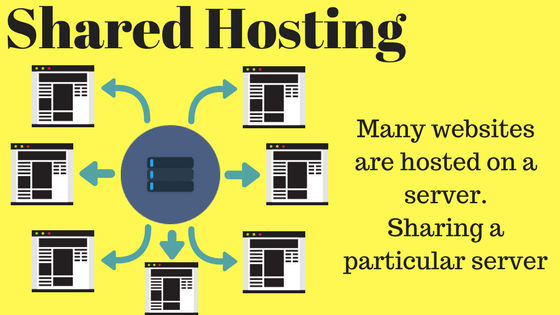 In Shared Hosting, you can install any kind of CMS or can use your coding. But in the case of CMS hosting, let us take an example of WordPress hosting. You can only install the WordPress site on your server. Most of the web hosting provider offers the one-click installation of WordPress, Joomla, and other CMS. 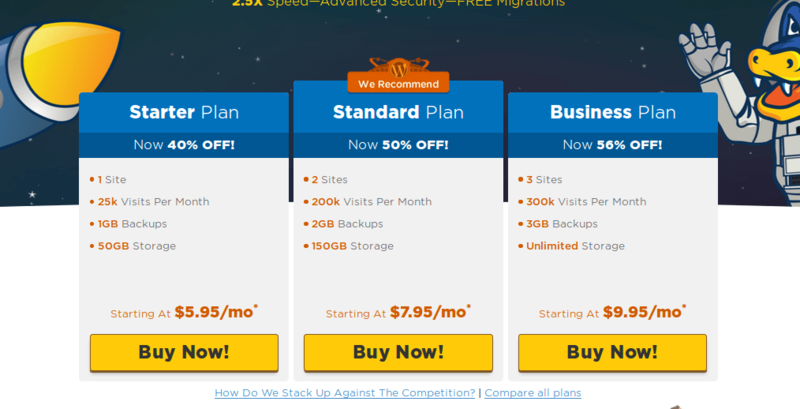 You can see an example, the plans offered by the Hostgator for WordPress hosting. Performance: Your performance will increase as the server are optimized for WordPress site only. Update: You will be getting the regular update regarding the software and plugins. Security: Your security level will be much higher than the Shared Hosting. WordPress Hosting offers you an Advanced Firewall Policy for your WordPress site security. Back-up: WordPress Hosting is having a feature to create a regular backup of your Data. Check out the Best WordPress Hosting providers. There are other CMS hosting also present on the internet. Such as Joomla Hosting. It is only specified for the Joomla website. Drupal web hosting is also there. 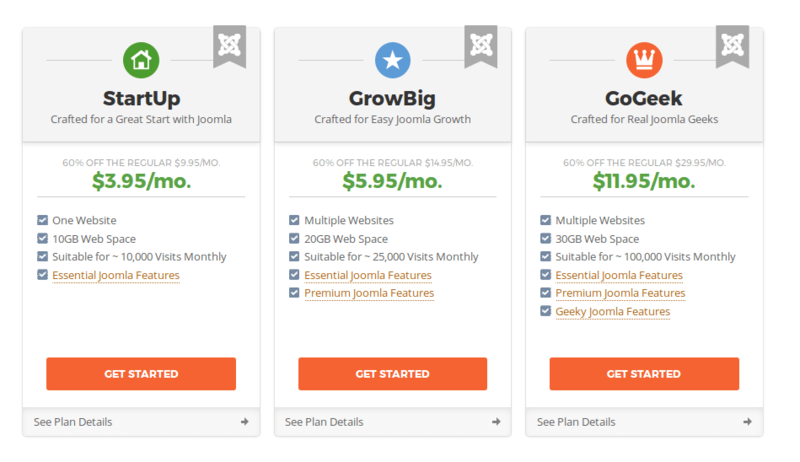 Here is an example, where Siteground is providing the Joomla Hosting. You have a vast number of choices to choose the web hosting. If you are a beginner and don’t know about anything or cannot decide you can choose Shared Hosting. It is definitely good for newbies and small business websites. If you want to earn money by providing the hosting services to the webmasters so that they can purchase the web-hosting from you. You have two ways to do so. The first option is to open your own web hosting company, set-up the server and all technical supports, then provide the hosting services to others. The second option is much easier. You can purchase some hosting space from the well establish web-hosting provider. Then make your own plans and utilize the space you have bought from the web-hosting provider by providing other to purchase the web-host according to your plan. This type of hosting is called Reseller Hosting. 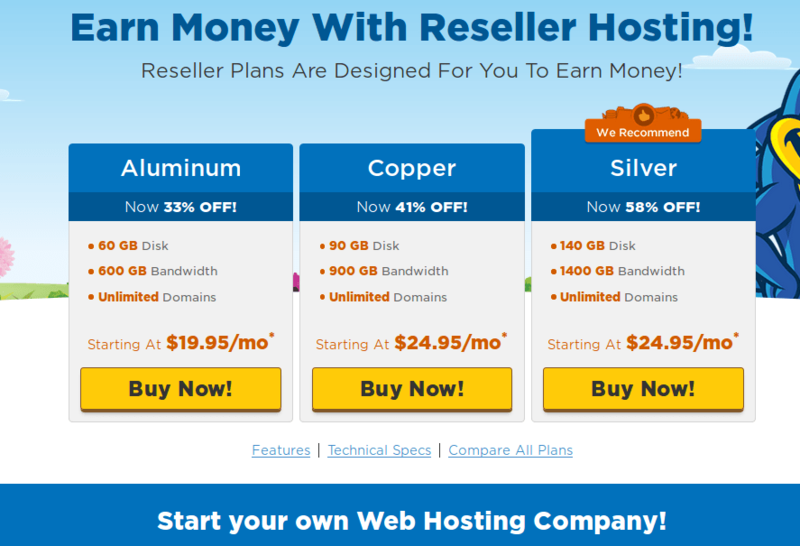 Here is an example of plans offered by Hostgator for the reseller hosting. If you are interested in buying any plan then, click on the link to go the page directly. When you will purchase a reseller hosting from the hosting providers, they will give a WebHost Manager(WHM), it is like the cPanel, where you can manage the websites and user accounts which are hosted on your reseller account. There are many web hosting providers offering the reseller hosting services. If you want to earn money through it, then you can. But if you are new to the web-zone and don’t know much about the hosting services then you should not go for this option. As in the case, you can be short off in technical support, which is really a bad thing for your company. Till now you have gained the knowledge that for a website both domain and hosting are important. It is also important to link the two things with each other, otherwise, it may happen that you are giving instruction to open Google.com and there it’s opening some other website. To solve this problem DNS (Domain Name System) is introduced. By now you have understood the importance of domain and hosting. DNS also has an equal importance on the internet. The websites are hosted on the servers, those servers have their own specific identity, to differentiate with each other. Since the servers cannot be recognized by the domain names, so the IP address (specific identity) is used. A typical IP address looks like 127.0.0.1. (It is the local address of any host.). I.P stands for Internet Protocol. You might have come across the terms such as IPv4 and IPv6, it generally means IP version 4 and IP version 6. These two things have some specific function. Since every website is assigned a specific IP address, in IPv4 the numbers can be arranged up to 2^32 bits. That means it can hold upto 2^32 numbers of the web addresses. But as the websites kept on increasing and there is need to store more IP addresses, IPv6 is introduced. IPv6 can store up to 2^128 number of address. You cannot memorize the IP address of every website, in fact, it is easy to memorize the name of the website like Squarenoid.com rather than the numbers. Here DNS (Domain Name System) solves the problem for us. DNS is a unit of specialized servers which have only one purpose; to connect the IP address with corresponding domain names. The servers which are at the DNS also have some specific name or id, we define them as Name Servers. Note: Whenever we purchase a web-hosting we get two name servers. Those name servers connect the domain name with server IP address. I think I am able to cover most of the basic things which act behind a website or you can say the building blocks of a website. If you want to know which Web Hosting and Domain Registrar powers this blog, then you can check our Blogging tools & resources page. If you’ve any queries, feel free to post your comment below. And if it helped you, then don’t forget to share it with your friends. For more stuff keep visiting our blog. Keep up the good work mate. Great articles.